God bless America! 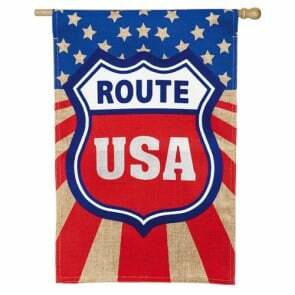 Shop our large selection of decorative 4th of July House Flags. You’ll find an array of Large fourth of July House flags ranging from patriotic BBQ’s with fireworks to bright and colorful stars and stripes flags with patriotic kittens and puppies on them. 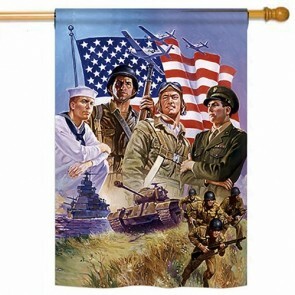 Buy from us and make HouseFlags your home for decorative 4th of July House flags. Happy 4th of July! 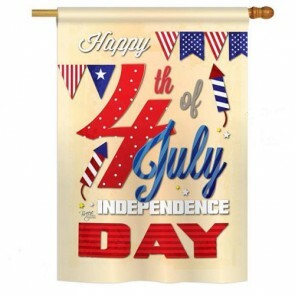 A typical size House Flag measures approximately 28” Wide by 44” Tall and fits on any standard 5 foot flagpole. Buy From us and make HouseFlags your Home for Decorative summer Flags.